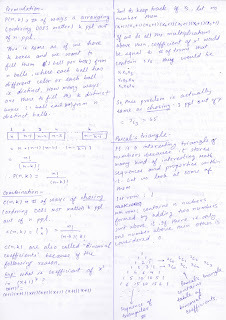 These are my notes from 11th lecture of discrete mathematics course taught at Arsdigita university by Shai Simonson. Other posts relating to this are here. 5 important principles of counting(2 official and 3 unofficial ones) namely Multiplication principle, Addition principle, Counting the Opposite, Counting double and Just another principle. 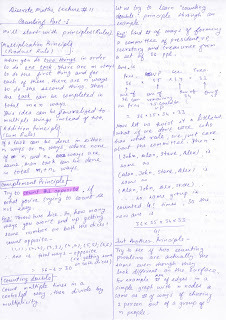 Ways to prove theorems using counting arguments. 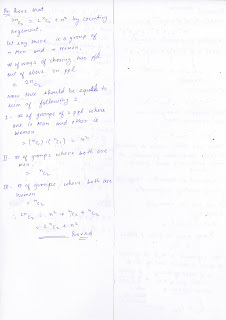 A general thing that always helped is that when you're solving some general case n, observe the behaviour for small values of n such as 1,2,3 etc .. this gives good insight/understanding into the problem. 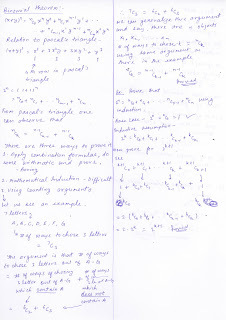 Note: Unless specified otherwise, in these notes n objects implicitly mean n distinct objects.